Hogg Robinson Group is a global corporate services provider, specialising in travel, expense, payments and data management underpinned by proprietary technology. Hogg Robinson Group is listed on the London Stock Exchange and comes under the mandatory GHG reporting requirements of the Companies Act 2006.  Eshcon carries out annual calculations of Hogg Robinson Group’s Scope 1 & 2 GHG emissions for all its sites, to be included in the company’s Annual Report. Hogg Robinson Group has offices in 88 cities in 24 countries around the world. Collecting this data can be a significant task. Eshcon and the Hogg Robinson Group finance team work together to collect the data from each site (or ‘entity’), ensuring that it is all returned on time, complete and accurate. A selection of sites is chosen for deeper analysis and validation of the data. Scope 1 & 2 greenhouse gas GHG emissions are calculated arising from energy in the buildings (gas, electricity etc), air conditioning refrigerants and company-owned vehicles. Comparisons are made with earlier years to examine how consumption patterns have changed. Emissions are given in absolute terms (in tonnes of CO2e) and also relative, normalised by turnover (tCO2e/£m). It is important that this project is run smoothly in accordance with a strict reporting timetable, as it coincides with one of the busiest periods for Hogg Robinson Group’s finance team, when they are preparing all the financial and other information needed for the Group’s Annual Report and other internal reporting. Running the project smoothly and efficiently, allowing client to focus on other work at such a busy time.